Scientists developed a ready-to-use, cost-reducing technology that can capture sunlight and store it as energy to power Global Positioning System components, portable communications, and other devices for U.S. soldiers. 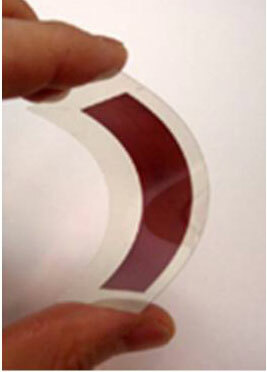 Dye-sensitized solar cells are expected to power Air Force unmanned aerial vehicles (UAVs) in the future because they are an optimum energy harvesting source that may lead to longer flight times without refueling. The Society of Manufacturing Engineers (SME) is seeking nominations for the 2010 Class of Fellows. Fellows membership is limited to a select few and is presented in recognition of contributions to the social, technological and educational aspects of the manufacturing profession. The RUSNANO Supervisory Council approved the Corporation?s participation in the project aimed at setting up national production of 90-nm topology very large scale integrated circuits. Anthrax, long feared for its potential as a biological weapon, has lost some of its mystery. Researchers at the U.S. Department of Energy's Argonne National Laboratory, in collaboration with scientists at the University of Chicago, have determined the structure of a protein crucial to the virulence of anthrax bacteria. 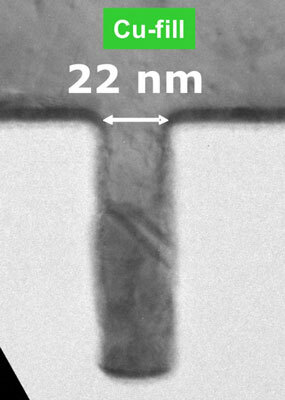 IMEC has achieved promising results in the race to scale CMOS to 22nm and below. 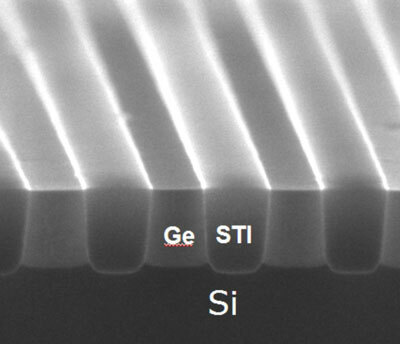 The breakthroughs from its transistor scaling programs include a successful integration of the laser-anneal technique in a high-K/metal-gate first process and a step forward towards fabricating aggressively scaled germanium-pFET transistors. J.C. Seamus Davis and John Tranquada, physicists at the U.S. Department of Energy's Brookhaven National Laboratory, along with Aharon Kapitulnik of Stanford University, have been named the recipients of the 2009 Heike Kamerlingh Onnes Prize for outstanding superconductivity experiments. 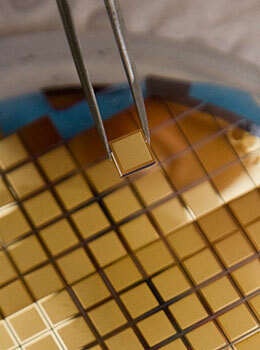 IMEC today announced that it has established new partnerships with solar cell material and equipment suppliers. 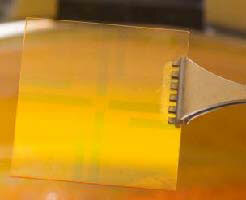 These companies, including MEMC Electronic Materials Inc., Leybold Optics Dresden GmbH, Roth & Rau AG, and Mallinckrodt Baker B.V., have concluded joint-development agreements with IMEC in the frame of IMEC?s newly launched wafer-based silicon photovoltaics industrial affiliation program. IMEC today announced that it is extending its EUV (extreme ultra-violet) lithography research program with a parallel dedicated EUV mask cleaning research program. The program will build on a new collaboration between IMEC and HamaTech APE GmbH. 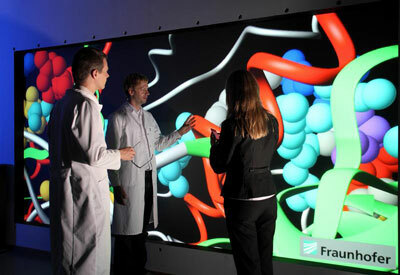 Forscher des Geschäftsbereichs Visual Computing von Fraunhofer Austria in Graz haben in einem Projekt der DFG die Software BioBrowser entwickelt. Sie errechnet voll-automatisch aus den Forschungsdaten der Molekularbiologen die 3D-Modelle von kompliziert aufgebauten Proteinen und stellt sie auf Knopfdruck hochqualitativ und interaktiv dar. Whether in the fields of medicine, sustainable energy supply or environmental protection, without making use of nanotechnology we will not be capable of overcoming the challenges which the future presents. In parallel with these efforts, though, it is essential that we examine the new technology very carefully for potential risks, such as those presented by free nanoparticles. This is the conclusion drawn at the close of Empa's 3rd NanoConvention, held on July 6th in Zurich. Microfluidic fuel cells could provide the necessary energy to provide continuous power to remote sensors, mobile phones and laptops. 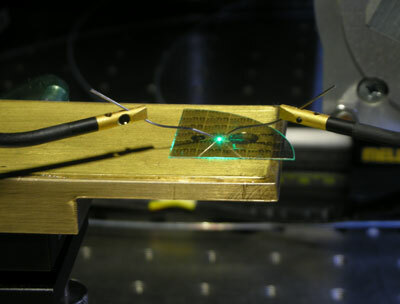 The University of Ghent (UGent) and the nanoelectronics research center IMEC demonstrated repulsive and attractive nanophotonic forces, depending on the spatial distribution of the light used. In response to the growing threat of swine flu, a University of Queensland team is applying nanopatch technology to potentially solve the problems associated with vaccinating millions of Australians.